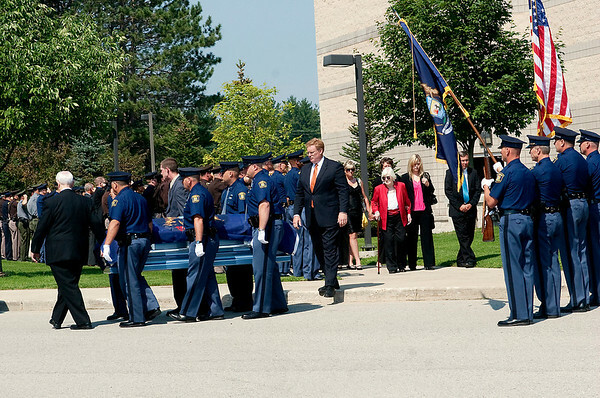 Michigan State Police troopers and other officers watch as the body of Sgt. Melvin P. Holbrook is taken from the Benzie Central High School auditorium after a funeral service. The casket was followed by family members.